Some habits are hard to break, even when it saves you money. For example, if you are paying off a student loan, you might be paying way too much every month. The truth is that millions of borrowers in the US are overpaying on student loans. It’s time to break this habit, and it’s much easier than you think. Take this advice and you may save thousands of dollars over the life of the loan. 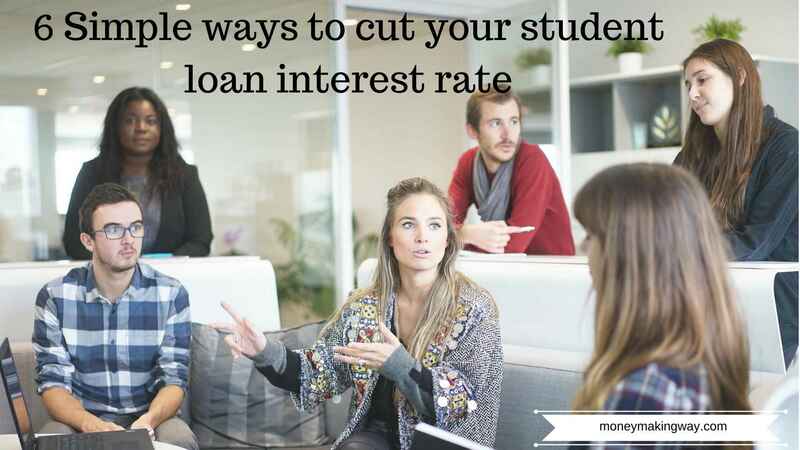 Here are six simple ways to reduce student loan debt. You might be thinking, “Who wants to pay more?” If you pay a bit more each month than normal, you end up paying off your student loan sooner. Technically, this doesn’t lower your interest rate, but it does lower the total amount you pay. Make sure you check with your lender first, as they might have early repayment fees. There are tons of lenders out there that may be willing to offer you a lower interest rate. This process is referred to as refinancing. It’s super easy to refinance student loans thanks to the multi-lender marketplace platform. You just answer a few questions about yourself online, and presto! In minutes you have several real rates to pick from. If you see one you like, the platform puts you in touch with that lender. If you are still writing out paper checks to pay your loan bill each month, this method is perfect. Many lenders offer you a discount if you set up an automatic debit payment. All you need is a bank account, and you can save up to 0.25 percent on interest every month. Some lenders will give you a 0.25 percent interest discount if you make payments on time. This typically kicks in after a few years of payments, Remember, if you pay late even once, this benefit might not be available to you. Also, if you’re already getting the autopay discount, your lender might not offer you the on-time payer discount. If you are still enrolled in school and can manage to make payments, ask your lender if they allow this. Also, some student loans offer a grace period which means you don’t have to make payments yet. In both cases, if you begin to pay earlier, you’ll reduce the total amount due on your loan. If you are deciding between a variable or fixed interest rate, the variable rate will be lower. However, variable means that the interest can increase over time. Historically, variable rate loans stay lower than fixed rate loans. What are you waiting for? Kick the student loan overpayment habit. All you have to do is make your move and begin saving. It’s easy!